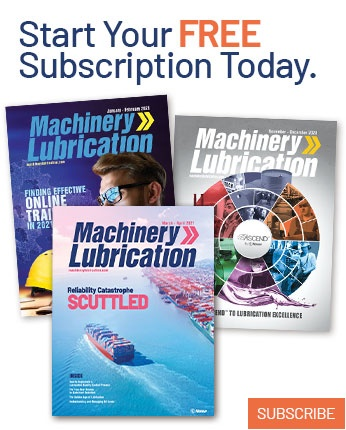 "What are the safety risks associated with performing lubrication?" Across all industries, safety should be the most important consideration in getting work accomplished. Regardless of how urgent maintenance or a repair might be, it must be completed in a safe manner. 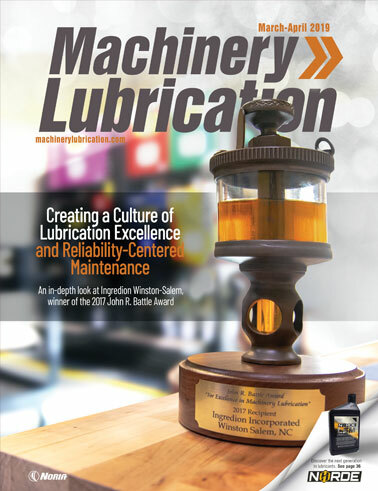 While many people do not think of the safety ramifications of lubrication, they certainly exist. Routine lubrication such as top-ups and greasing normally occur around moving equipment. When you are in close proximity to machines that rotate or move, you must exercise caution to avoid getting yourself or a tool caught in the nip points. You could easily be hurt by coming into contact with a fast-rotating shaft or having a finger trapped between two meshing surfaces. Most equipment will have guards in place to ensure people stay out of these potentially dangerous areas. If you must remove a guard to lubricate a piece of machinery, ensure the machine is powered off and locked out to prevent anyone from turning it on accidentally. 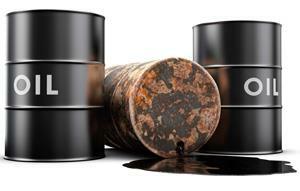 As you walk around equipment, you may notice an occasional oil leak on the floor. These types of leaks should be cleaned up and repaired as quickly as possible. Not only are they costly in terms of make-up fluid and contaminant ingress, but they also pose a danger for slips, trips and falls. Stage spill-containment equipment and material throughout your plant so it will be easily accessible. All staff should also be trained on how to use these materials and on the company’s policy for disposing of lubricant waste. Normal oil sample extraction is performed with dedicated sample valves. The valve is a safety device to help reduce the risks associated with collecting a sample from a pressurized system. In equipment such as hydraulics where the fluid pressure can be very high, it is best to use a pressure-reducing sample valve. This will lower the pressure of the oil stream so it will be safer and easier to capture in a sample bottle. There are also risks related to greases at high pressures. A manual grease gun can produce a pressure of up to 15,000 pounds per square inch. When grease lines and fittings become caked with dried grease, this pressure looks for any chance to escape. In some cases, the connection between the fitting and the grease gun coupler is the easiest place for the grease to go. With this in mind, never hold the grease gun coupler in your hand during regreasing, as it could result in an injection wound or grease being pushed through the skin. Lubrication is a hands-on job, so the last safety tip involves lubricants coming into contact with skin. You must minimize this contact by using gloves or barrier creams and washing off lubricants with soap and water. Although there isn’t a great risk of contact with lubricants, certain synthetics and additives present some health concerns. Lube safety is largely common sense, but always check the lubricant’s safety data sheets to determine how it should be handled.